AAC Animals Bird Eagle Design by Bellamy 5 North American - Agrell woodcarving. Description: Carved Wood Eagle. Design by Bellamy, North American. 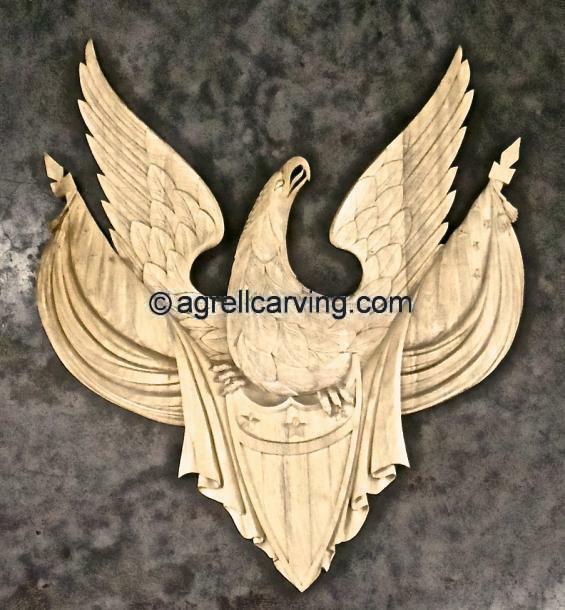 Carved By Agrell Architectural Woodcarving.